No reason to dread next Monday! Our FREE Animal Communication Webinar is on Monday so you’ll have something to look forward to. HURRY though, space is limited and we don’t want you to miss the opportunity! Have you always wanted to speak with the animals but didn’t know how? Maybe you’ve been practicing for a while and you’re struggling, or hit a road block, and you want to bust through! 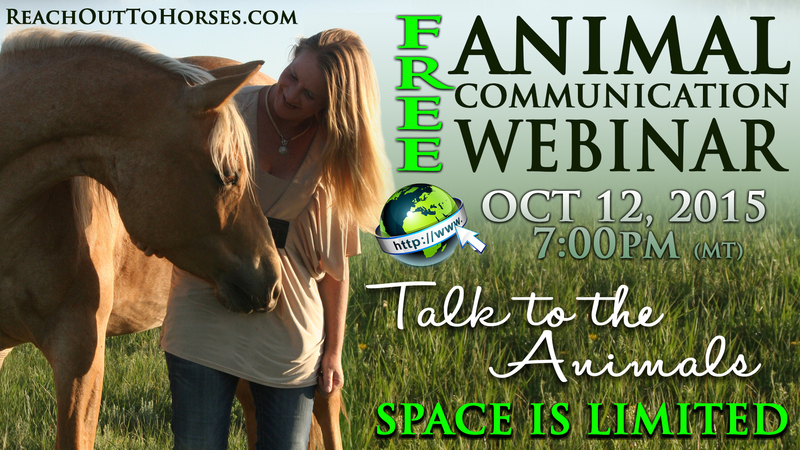 No matter where you are on your journey in Animal Communication, Join Internationally Acclaimed Animal Communicator, Anna Twinney, FREE next Monday night, October 12th at 7pm (Mountain Time, U.S.) and discover how you can have clear, verifiable and life-changing conversations with any species on the planet! This Language of Love has no bounds and can be accessed by anyone. It isn’t for a gifted few, instead it is a gift to you! Anna is sought out by people all over the world (literally) to help them communicate with their animals. In addition, every year, she teaches people from all walks of life to connect with the animals themselves. Now during thisfree 1 1/2 hour webinar, Anna will share her 21 most important secrets to receiving clear, accurate information, communicating with the animals, and becoming an advocate for our fellow planetary companions. She will help you uncover your own abilities and teach you to strengthen and trust them. Learn what you need to know about the animals, human companions, and even yourself, to awaken your gift and speak with all animals, no matter the species. You can join us by phone or online but don’t miss this FREE opportunity to learn the art of Animal Communication in its most powerful and effective form. Some lucky folks will even win a special FREE webinar series with Anna. We’ll you’ll just have to join us next Monday, October 12th at 7pm (Mountain Time) to find out! Due to the limits set by our webinar service, we only have a set number of spots available and we expect those spots to go fast. So if you want to know how to become an expert in animal communication, don’t wait to register.